The Shadow Fold, a swathe of impenetrable darkness, crawling with monsters that feast on human flesh, is slowly destroying the once-great nation of Ravka.Alina, a pale, lonely orphan, discovers a unique power that thrusts her into the lavish world of the kingdom’s magical elite—the Grisha. Could she be the key to unravelling the dark fabric of the Shadow Fold and setting Ravka free? UPDATE — Jun 15, 2013 Reread it for book 2. This is SO GOOD! Not sure why I rated 4 stars, changing it to 5 stars.Original plot with unexpected twists and turns. Really did not see it coming. There was the dark, mysterious, handsome and powerful Darkling, and his unwarranted attention to Alina. 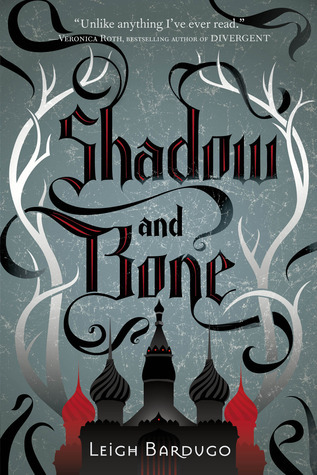 Interesting world building, with different classes of Grisha, and their hierarchy in the palace. The court intrique that faintly reminded me of Kagawa’s “The Iron Fey Series”. Followed by tender loving moments that were very sweet and was rooted in friendship, not the typical insta-love. On top of that there were great actions: when they’re in the Folds fighting the monsters. The only put-off for this book was the Russian folklore, names that were hard to pronounce and myth that I was not familiar with. The author never did fully explain the Dark Folds. Can’t wait for the next book!!! Book reviewed by Poecilia L.